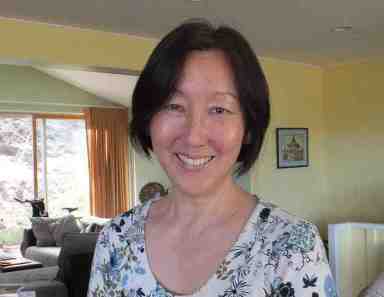 The UCLA Institute of American Cultures and Asian American Studies Center (AASC) will present a series of events with AASC director candidate Dr. Karen Umemoto on Wednesday and Thursday, May 3 and 4. Umemoto is chair and professor of Urban and Regional Planning at the University of Hawai’i at Manoa. Her research and practice focus on community planning and development along with youth development and juvenile justice reform. Her publications include “The Truce: Lessons from an L.A. Gang War” (2006) and “Jacked Up and Unjust: Pacific Islander Teens Confronting Violent Legacies” (2016). She has an M.A. in Asian American studies from UCLA and a Ph.D. in urban studies from Massachusetts Institute of Technology. • Vision presentation on “Synergy and Relevance: Building Community and Capacity at the Asian American Studies Center” on May 3 from 4 to 5 p.m. at UCLA Faculty Center, Cypress Room. The search committee welcomes candidate evaluations from faculty, staff, and students affiliated with AASC. • Community meet-and-greet reception with candidate remarks and Q&A about the AASC directorship on May 3 from 6 to 7 p.m. at UCLA Faculty Center, Cypress Room. Refreshments will be served. The search committee welcomes candidate evaluations from community members. The UCLA Faculty Center is located at 480 Charles E. Young Drive East, near the corner of Hilgard Avenue and Westholme Boulevard. Follow the signs at the Faculty Center to go downstairs to the Cypress Room. • Research presentation on “The Overrepresentation of Native Hawaiians in the Juvenile Justice System and Transformative Planning Praxis” on May 4 from 11:30 a.m. to 12:30 p.m. at UCLA Public Affairs 2355. The search committee welcomes candidate evaluations from faculty, staff, and students affiliated with AASC and the Luskin School of Public Affairs. UCLA Luskin is located on the northeast side of campus at 337 Charles E Young Drive East, adjacent to the Sculpture Garden. All events are wheelchair-accessible. UCLA is a non-smoking campus. For parking, purchase a day pass (cash only) at an information booth (closest location would be Westholme and Hilgard) or purchase hourly parking at a pay-by-space station (cash or card). For UCLA Faculty Center: Parking Lot 2 (P2). Enter campus from Hilgard at Westholme or Manning Drive. The Faculty Center is just north of the Westholme entrance. For UCLA Luskin: Parking Lot 3 (P3). Enter north campus from Hilgard, just below Sunset Boulevard or at Wyton Avenue. If coming from Wyton, turn right onto Charles E. Young Drive and head north. Follow signs for pay-by-space parking. When exiting parking structure, head south past Melnitz Hall and the Sculpture Garden. Luskin will be on your left.